A couple of somewhat random shots that had been on deck, just waiting for an excuse to be posted. Not really sure what’s under the microscope. However, that is a real and very small bark scorpion who passed on, never reaching its full adult size of about 2 inches. Scorpions are among the venomous neighbors that live around us in the Arkansas Ouachitas. 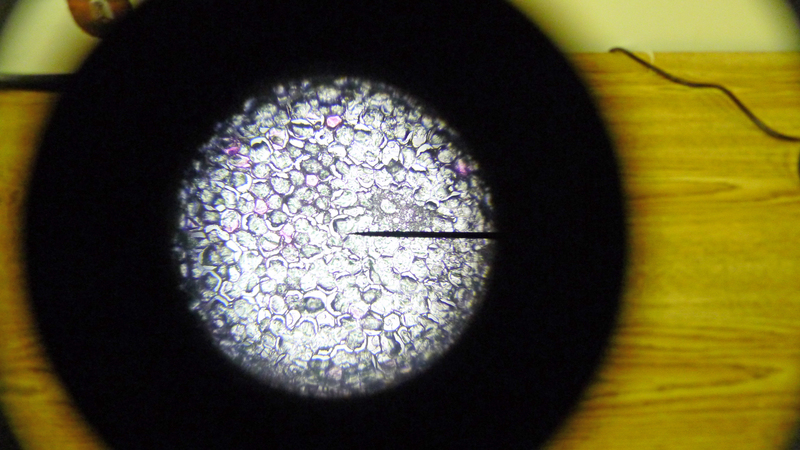 LOOKING LARGE — Shot into the eyepiece of a microscope set up as part of a 4-H learning activity. 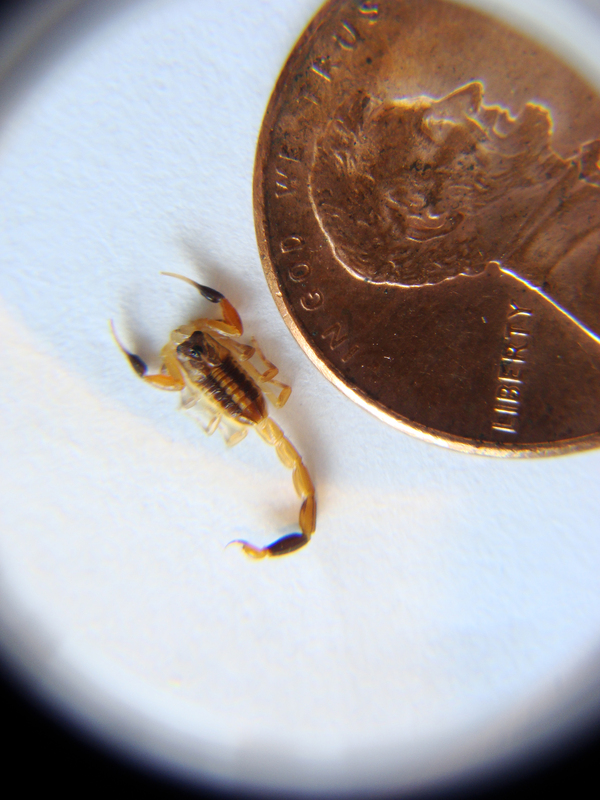 TINY — Bark scorpion and penny under an 8x loupe. Thanks to Alisa for inviting us to join her weekly Travel Theme challenge! This week’s theme is foliage. LONE COLOR — Autumn’s colored leaf spectacular has been thrown a giant loop by the summer’s drought, followed by late summer rain and bouncing temperatures. The beautiful changes that normally begin in August were just beginning to manifest in the last week of September and in odd ways. 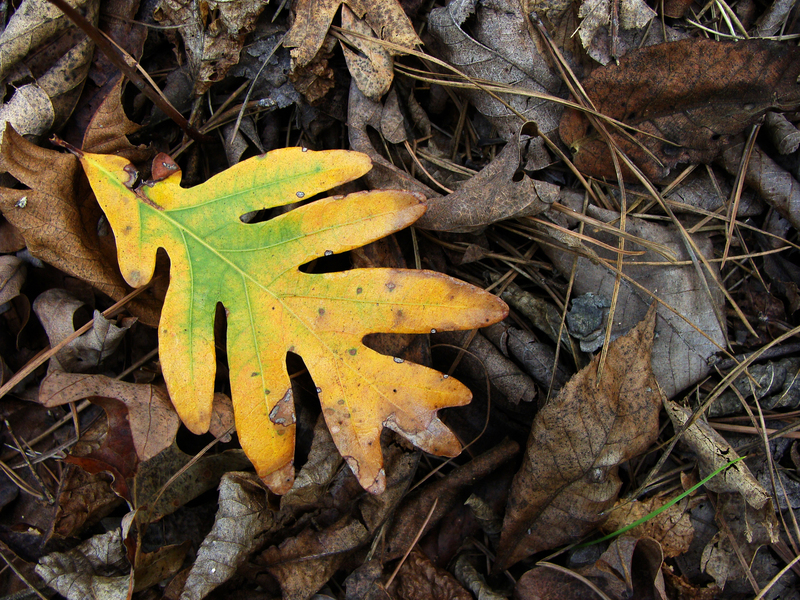 Most trees are still wearing their full green canopy, yet this small sassafras was down to just two leaves. 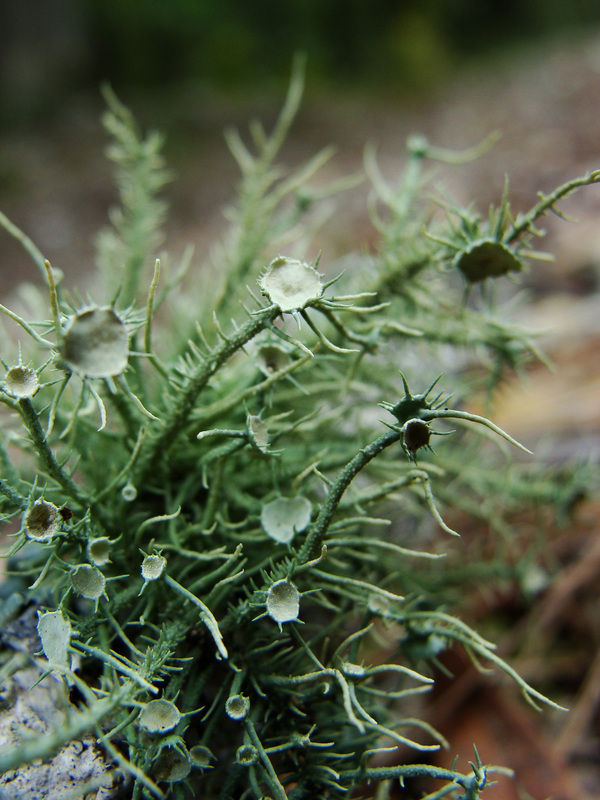 FRIZZ AND CUPS — OK, this is a bit of a cheat, since technically, lichens have no foliage, but thought the texture on this was too good to pass up. Didn’t see much going on in Suburban Ferndale yesterday, but those days really prompt one to look deeper. Much of Saturday’s photo stroll was spent in the dirt, peering at the world from below. 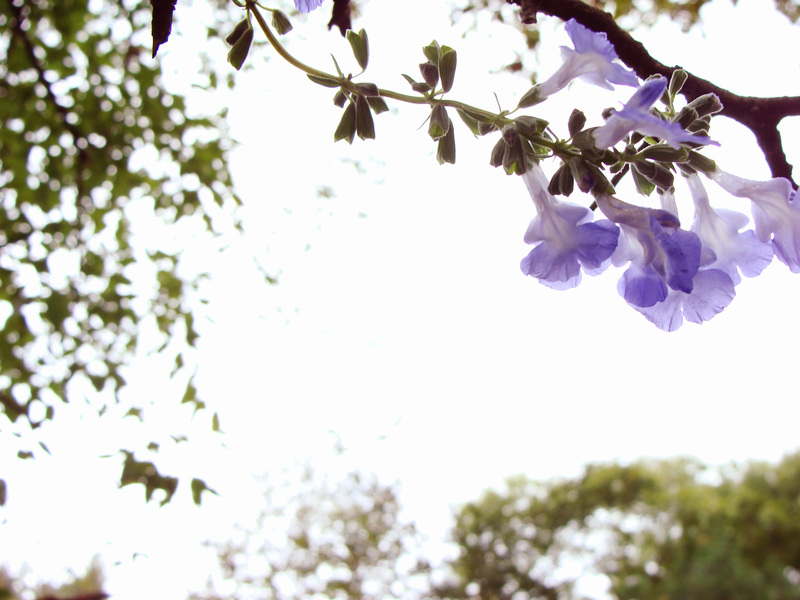 HELMET FLOWERS — The beauty of these blue helmet flowers contrasts against the white sky. BUG VASES — These tiny terracotta vases may be last year’s stinkbug egg cases. TALL AND STRAIGHT — as the trees behind it. This beautifully symmetrical mushroom had a nearly perfectly round orange cap. 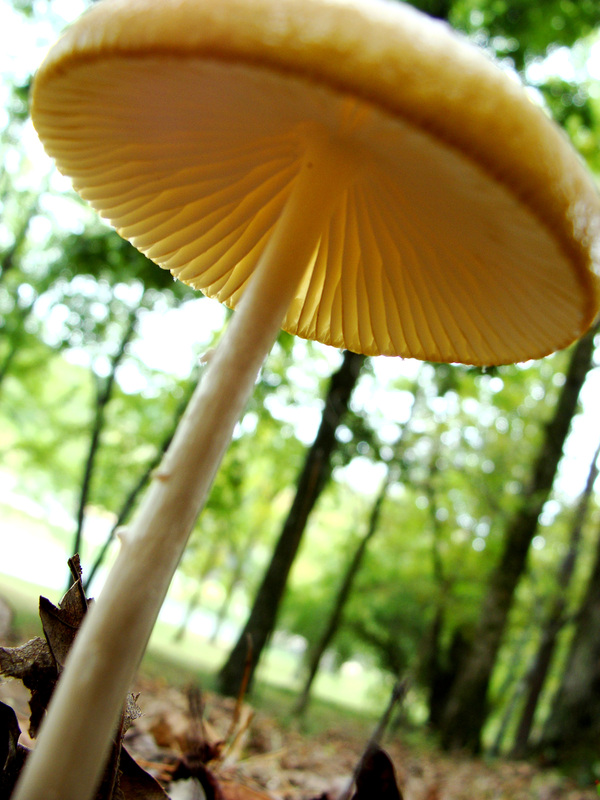 The fungus was found on the grounds of the C.A. Vines Arkansas 4-H Center. DARK SIDE — Of course, death is part of nature too. 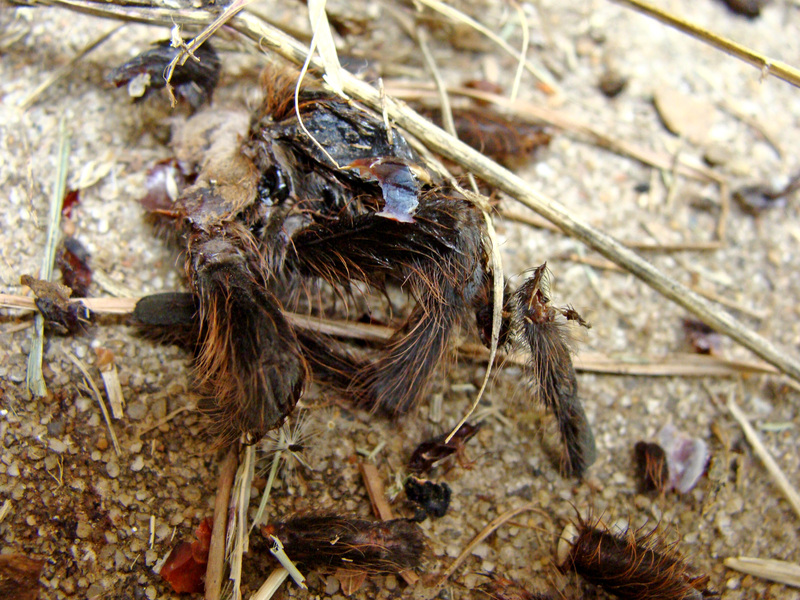 Finding the remains of this tarantula was particularly sad. We become fond of these fuzzy arachnids when they appear. 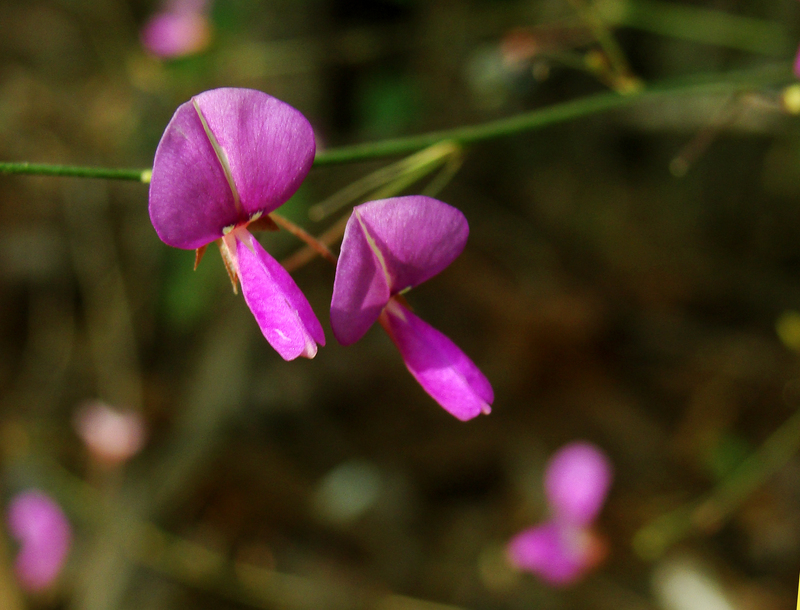 The late summer, early fall flush of wildflowers included these tiny, dark pink blossoms hanging from slender stalks rising no more than a foot from the ground. PAIRED — These tiny flowers are hardly noticeable from the road. Our brown recluse spiders are rarely reclusive. They generally hunt at night, but this one was out at breakfast time feasting on a juicy fall armyworm. And this fall, the worms are the only thing that seem to be more talked about than the weather. 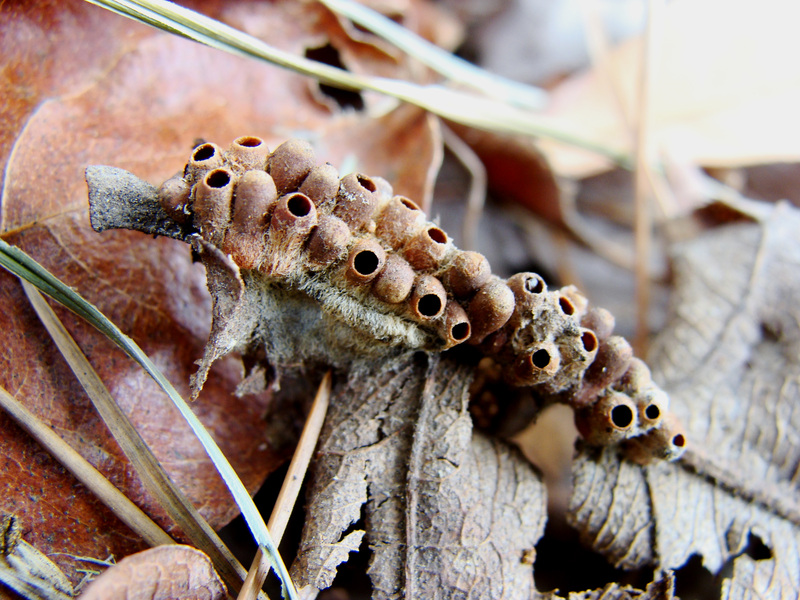 As their name suggests, these moth larvae appear in large numbers and will eat through anything green: crops, pastures, lawns. Insect experts say Hurricane Issac is to blame for helping sweep the moths northward into Arkansas. With recent rains greening up lawns and pastures, the armyworms are eating well, reducing grassy areas to dirt in just two days. After reaching a certain size, the armyworms are hard to control with bug spray, but birds, brown recluses and other predators are hungrily doing their part. 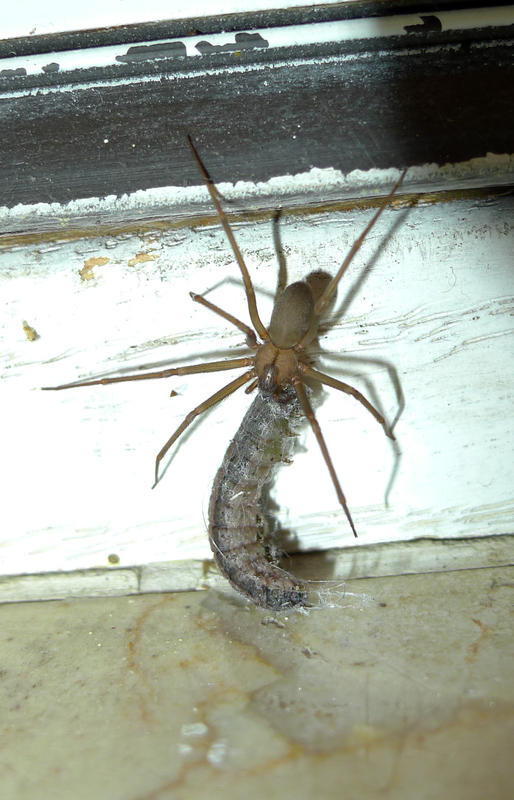 BREAKFAST — Brown recluse spider, minus a leg, enjoys a big, fat fall armyworm. 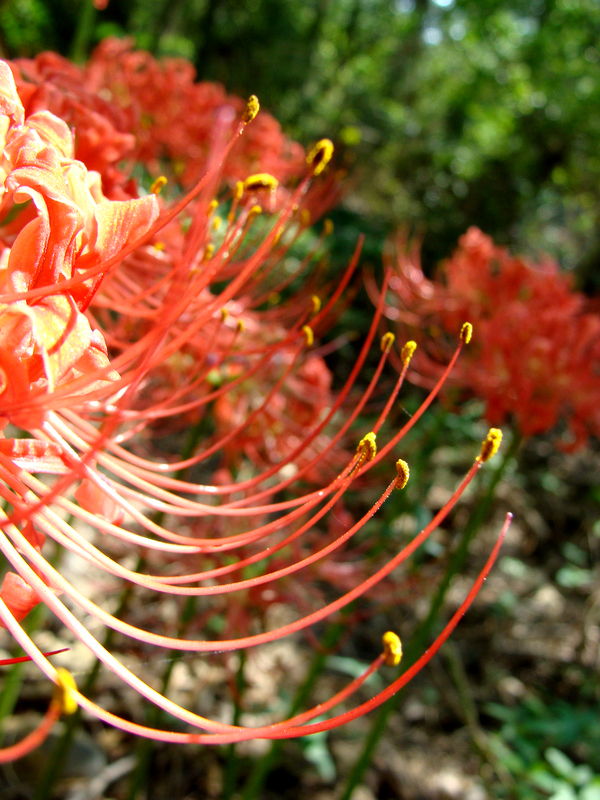 Compact digital cameras are a little like haiku. With both, there is a seemingly infinite amount of expression that can be coaxed from a device for creativity whose form is subject to certain dictates. 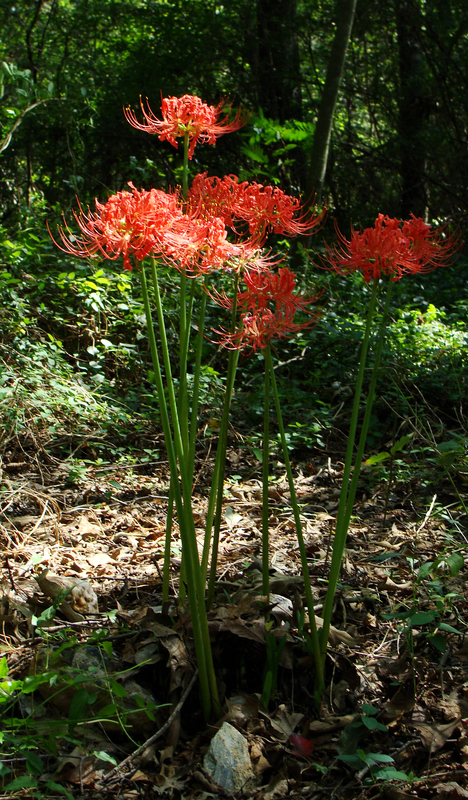 In haiku, there is a narrow path defined for words by number of on. 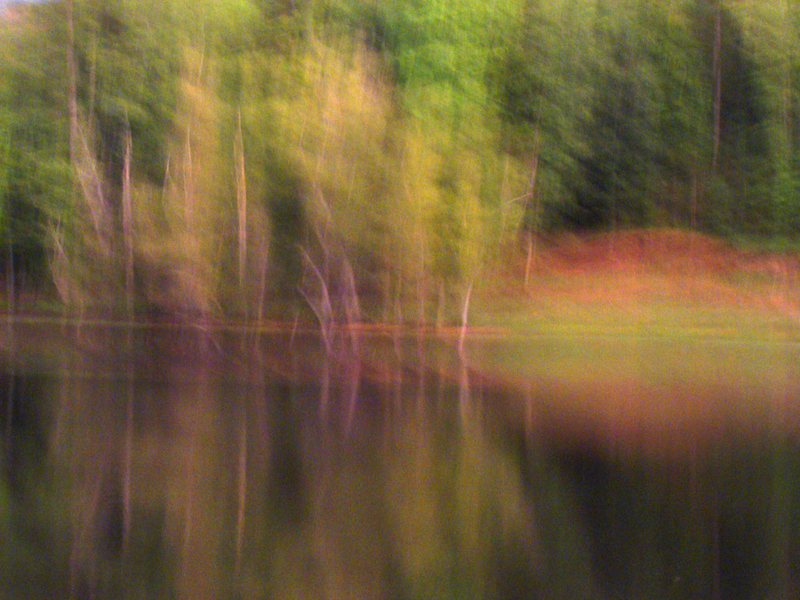 In compact digital photography, the narrow path for light is determined by optics, sensors and software. CITY GLOW — Even 18 miles outside of downtown Little Rock, there’s still the glow of the metropolis. 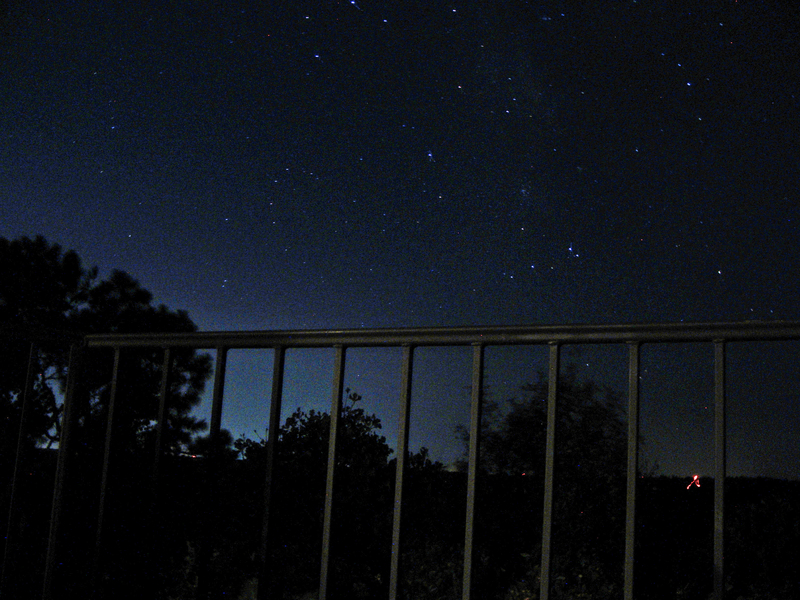 MILKY WAY — An attempt to capture the Milky Way. * Disclaimer I: Owner’s manual? What’s that? * Disclaimer II: These photos do not capture the sheer not-in-vain OH MY GOD! awe of the night sky. I never tire of gazing admiringly at the immensity above. This week’s concept was maddening. The harder I tried this weekend to find a photo to match “solitary,” the more the world threw twos and threes and other multiples into focus. The first and fourth images are a bit redundant, variations on a theme taken four months apart. Couldn’t choose between the two. Happy autumn for those in the northern hemisphere and happy spring to those south of the equator! 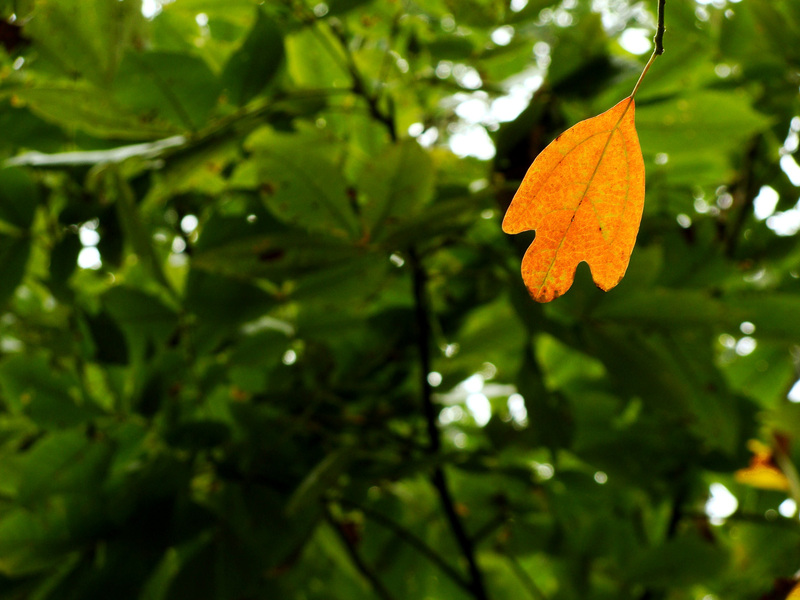 ONE AMONG MANY — Autumn begins to show its color amid the previous year’s windfall. 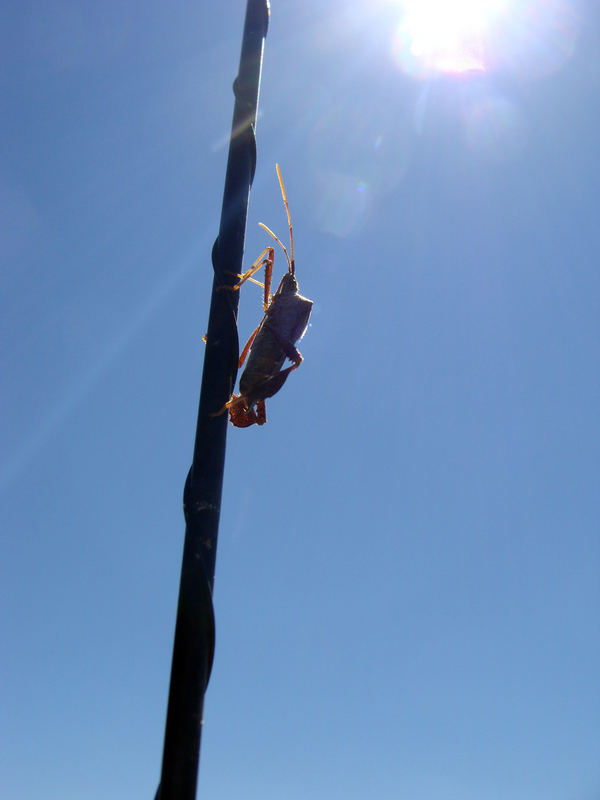 UP — Insect climbs toward the noontime sun on a car antenna. He may find it’s lonely at the top. 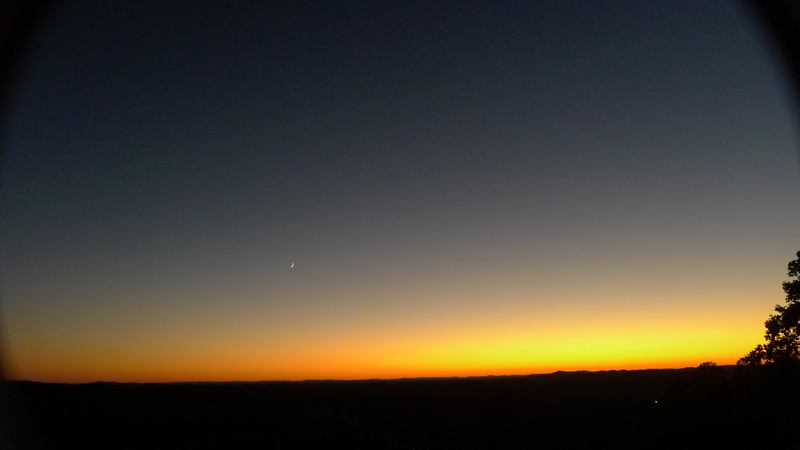 ALONE FOR NOW — The slender crescent moon seems to have the sky to itself after the sun disappears. 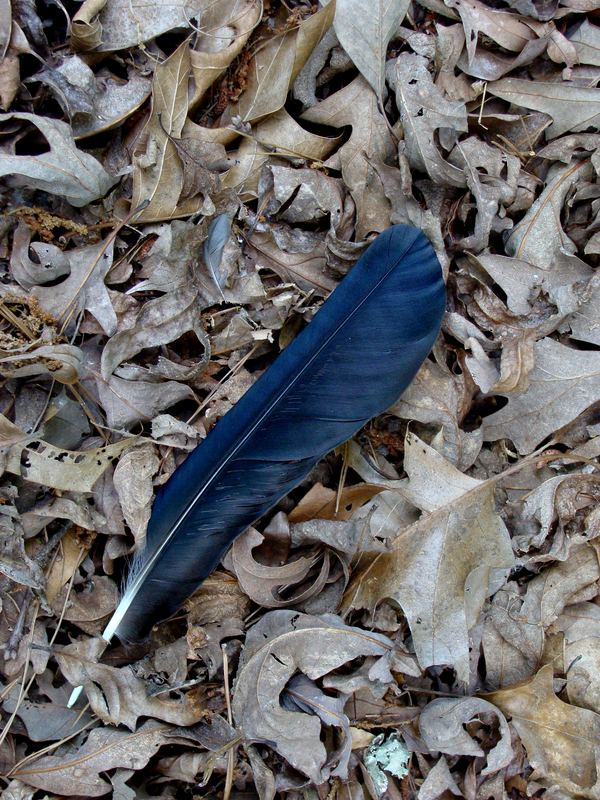 BLACK FEATHER — Photographed in May. 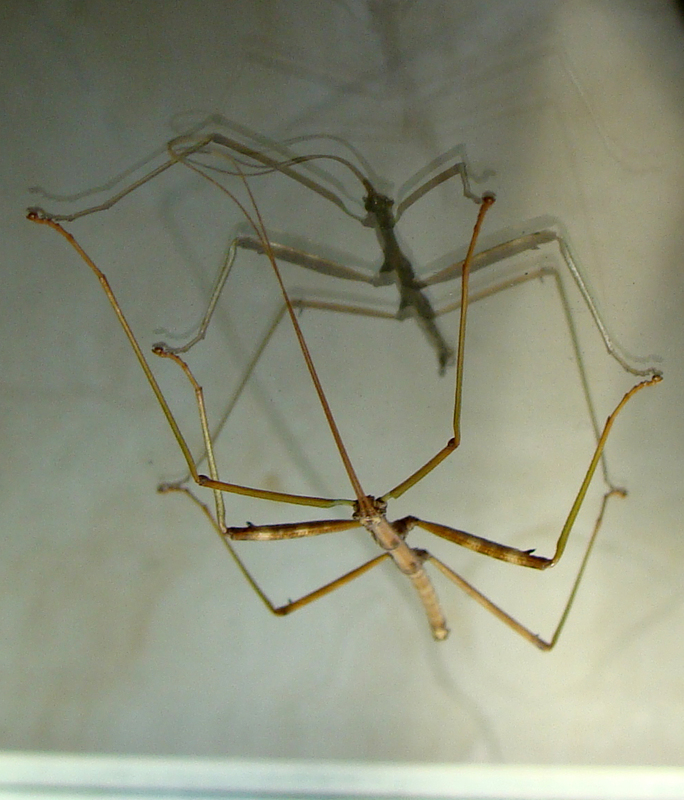 Walkingsticks are common here on the mountain and seem to be attracted to our windows and doors. This one spent almost the entire day on the front door. WALKINGSTICK — Walkingstick and its reflection in the front door’s window.